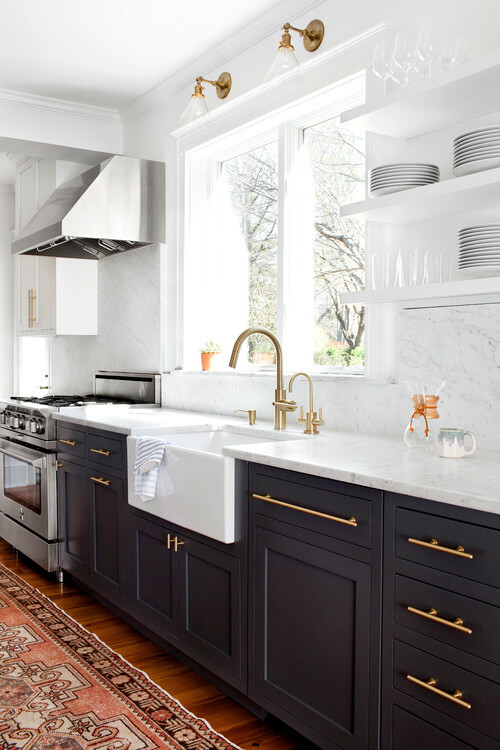 We’ve seen brass fixtures gradually coming back over the last few years, and the trend is only getting bigger. Golden brass tones can warm up some of your décor. However, after being inundated with silver finishes–like chrome and stainless steel–over the last few years, some still consider brass as looking dated. You certainly don’t have to go all 1980s and brass the entire house in fixtures to make a statement. Using brass in a few places as an accent is actually more on trend. Mixing metals is on trend. 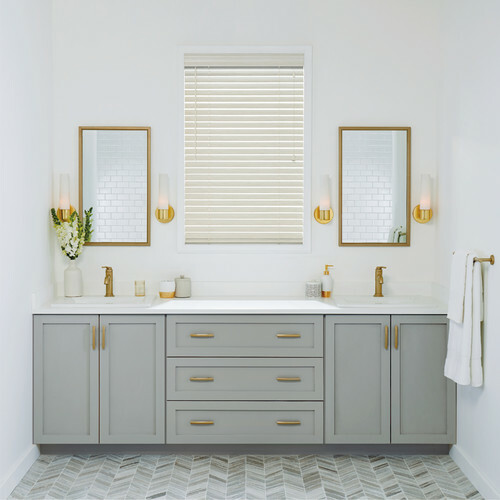 Mixing together chrome, nickel, brass, and bronze fixtures and décor is being incorporated into several home styles too, from contemporary to traditional. 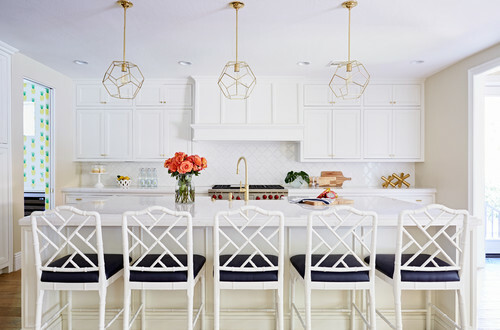 Brass is being added into more kitchens, from brass pendant lights over a kitchen island, brass faucets, or even brass pulls to dress up the kitchen cabinets. Should you consider mixing in a few brass pieces into your staging? Check out some of these examples from designers at Houzz. Looks great with black! Nice photos! This is one tip that needs to be shared on how to spruce up your home. This is eye catching. Timeless design for the details. Thanks to these small details that are great for upgrades!